Founded by the Dutch in 1631, Lewes is often referred to as the First Town in the First State. Lewes can be found where the Delaware Bay and the Atlantic Ocean meet at Cape Henlopen in Sussex County. This charming walking town contains a historic district with many of the older preserved homes and museums. The town also boasts over 40 full-service shops with unique goods, such as antiques and modern gallery art, as well many fine restaurants and several inns, bed and breakfasts and motels. While in Lewes take a day trip to New Jersey on the Cape May-Lewes Ferry, which takes passengers across the Delaware Bay on a 17-mile, 85-minute cruise between New Jersey and Delaware. 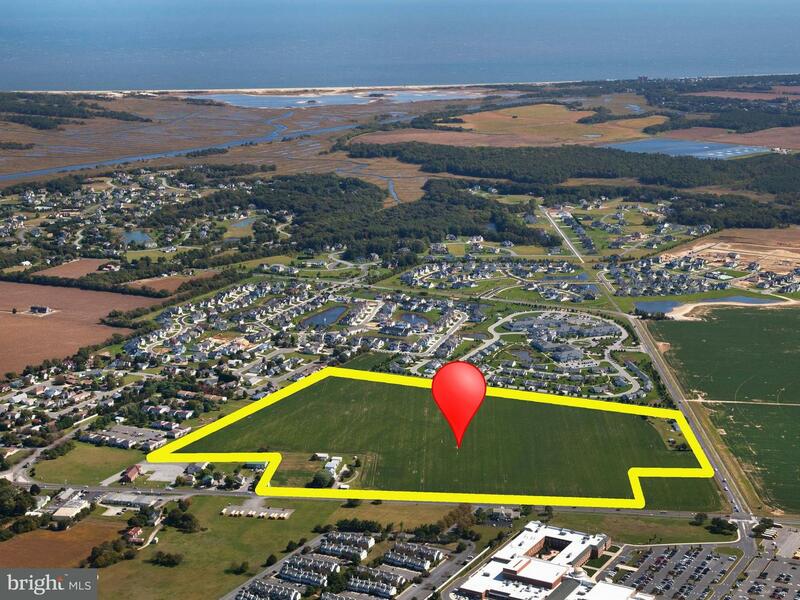 Lewes is also home to more than 4,000 acres of preserved lands within Cape Henlopen State Park. Within the park visitors will find undeveloped beaches, miles of nature trails, bird sanctuaries and an education center. The park was formerly the site of Fort Miles, a WWII era harbor defense facility that still has some fortifications including an Observation Tower that provides superb views for those who climb it and a former military bunker. The park also has boasts the famous "walking dunes", including the 80 foot high Great Dune, which you can climb. The Great Dune is the highest sand dune between Cape Cod and Cape Hatteras. 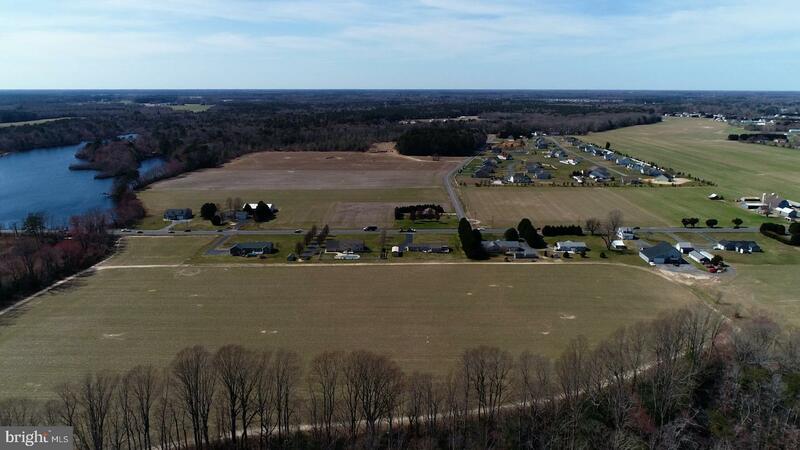 From the Cape Henlopen State Park, to the historic district to the beautiful beaches, trails and sanctuaries, the charm and beauty of Lewes makes it a wonderful place to live and visit. Valuable Commercial Property In Downtown Lewes! Impressive Turnkey Property With A Completely Equipped Restaurant On The First Level, And 2 Gorgeously Remodeled Vacation Rental Spaces On The Second. Unbeatable Location In The Heart Of Popular Downtown Lewes Where People Arrive By Foot, Bike, Car, Or Boat! Projected 2019 Airbnb Income Of $55k From Two 2nd Floor Apartments. Call Today! Enjoy Waterfront Serenity On The Lewes Canal. Located In Charming Downtown Lewes On Pilottown Road, This Historic Colonial With Cedar Siding Provides Relaxing Views Of The Canal. Recently Remodeled And Well Maintained, This 4 Bd, 3.5 Ba House Boasts 3 Floors Of Living With An Additional 2 Bd And 1 Ba Guest Quarters Above The Detached 2-car Garage. Features Hardwood Floors Throughout, Fireplace, Built-ins, Geothermal Heat/air, And Rinnai Tankless Water Heaters In House And Garage. Updated Master Bath Is Highlighted With A Granite Double Vanity And Tile Shower. Dock Your Boats At Your Personal Pier And Drift Down The Picturesque Lewes And Rehoboth Canal Out To The Delaware Bay. Stunning, One Of A Kind, Garrison Model Home In The Coveted Community Of Showfield. Situated On A Large Pond This Home Was Designed To Capture Water Views From Every Angle. The 1st Floor Features Wide Plank H/w Floors Throughout, Gourmet Kitchen W/ Stone Counters, 6-burner Gas Cook-top, Professional Range Hood, Wine Fridge And Luxurious 1st Floor Master With Spa-like Custom Tile Bath & Expansive Walk-in Closet. In Addition, The Living Room Features Vaulted Ceilings, Beautiful Exposed Beams, Dual-sided Stone F/p That Connects To The Outdoor Screened Porch Situated On The Water. Walk Upstairs To Find A Loft Area Perfect For A Den/office, Plus An Additional 3 Bedrooms. Step Outside And Enjoy The Paver Patio Overlooking The Pond, Fire Pit And Spacious Backyard. Unfinished Basement W/ High Ceilings For Additional Space In Future. Showfield Offers Many Amenities Including Resort Style Pool, Clubhouse W/ Fitness, Great Room & Bar Area, Walking Trails & Access To The Junction Breakwater Trail. Unique Offering Nestled In The Coveted Beach Enclave Of Gills Neck Corridor, This Move-in-ready New-construction Home With The Charming Resort Town Of Lewes For Shopping, Restaurants And Entertainment Just Minutes Away. This Schell Brothers Kingfisher Model Features A Time-tested Floor Plan. Serenity & Privacy Abounds! Impressive In A Class By Itself! Specifically Designed With Optimum Views From Main & Upper Levels Living Areas! Seller Has Increased The Value Of This Distinctive Home With Over $170,000 Worth Of Upgrades! 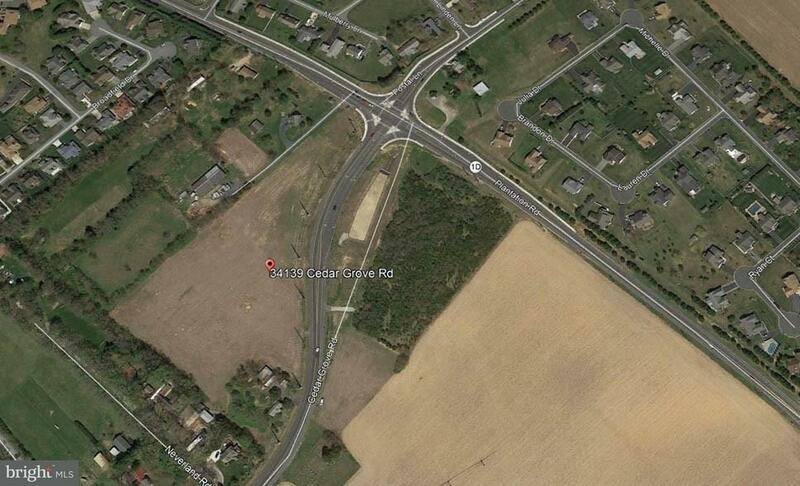 Simply The Best Buy In Sussex County! 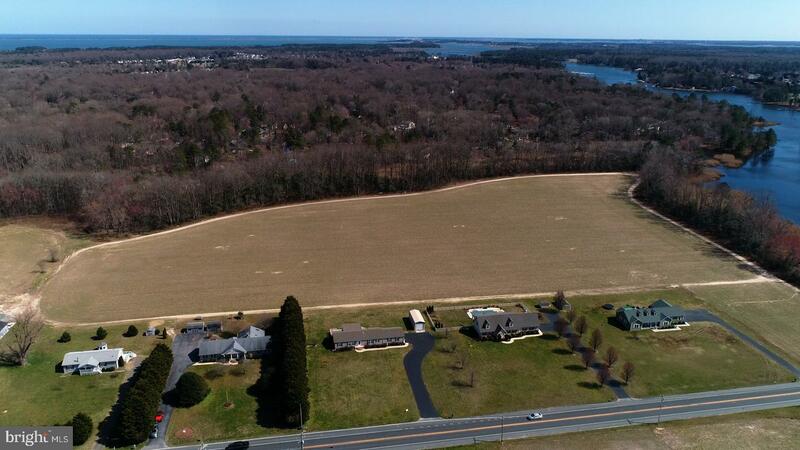 Nestled In A Pristine Waterfront Community Of Bayfront At Rehoboth, This Jewel Is Situated On A .54 Acre Lot With Magnificent Views Of Rehoboth Bay, Horse Island & The Town Of Dewey. You'll Be Captive By The Nature Of Marsh Wildlife And The Unimaginable Privacy Of This "one Of A Kind" Gem With Lush Landscape Surrounded By Mature Trees. Three Levels Provide The Utmost In Luxury Living With Screened Porches On The Lower & Main Levels. A Deluxe Elevator Is Convenient For Travelling From Top To Bottom! Quality Built With Endless Possibilities Of Flex-space To Provide Master Suite Retreat On The Lower Level Or Perfect Guest Quarters. The Upper Level Can Convert To Office Space, Game Room, Exercise Room, Sewing Room, Playroom Or Whatever Your Heart Desires! A Chef's Kitchen Awaits Your Cook With A Large Center Island, Generous Counter Space, Gas Cooking, Accent Lighting Under Cabinets, Beverage Refrigerator, Stainless Steel Appliances, Granite Countertops & 4" Tiled Backsplash, Handsome Cabinetry, Desk Area, Plus Glorious Views From Numerous Windows. This Kitchen Is The Heartbeat Of Your Home & Provides The Ultimate In Entertainment! Enjoy Hours Of Quiet Bliss Relaxing On Screened Porches To Make This Your Vacation Spot Year-round. Loaded With Amenities And Truly An Amazing Find, Make An Appointment Now, Because Once You Visit This Home You'll Be Sold! Hoa Dues Cover: Weekly Lawn Cutting, Spring & Fall Clean Up, Start-up & Shut-down Of Irrigation System (from Well Water) And Fertilizing 4 Times Per Year. 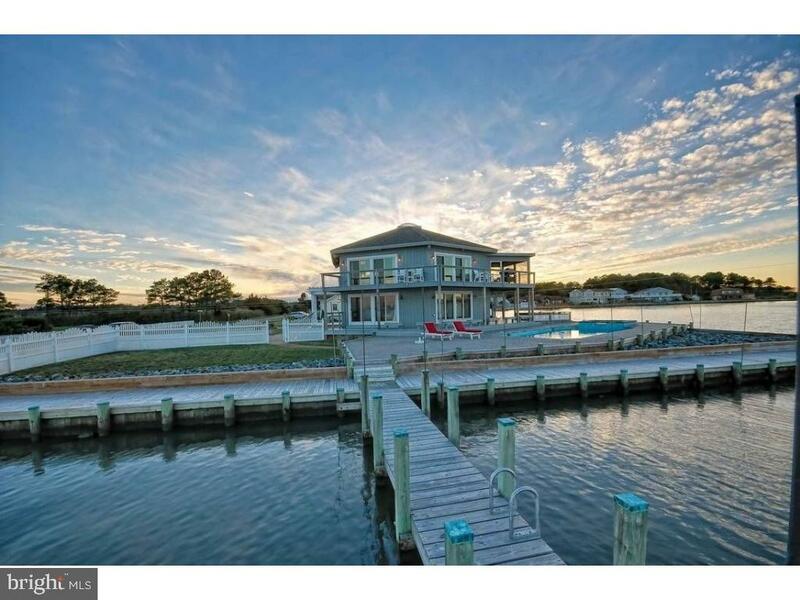 Bayfront At Rehoboth Has The Following Features: Club House With Cardroom, Sitting Area & Fireplace Plus Exercise Room. In Addition, You'll Savor A Volleyball Court, Outdoor Swimming Pool, Private Beach With Gazebo, Park Benches At The Beach, Kayak Shed (lottery Based Each Year For Storage) And Various Lakes And A Fountain In The Sanctuary. Quality Construction Virginia Fieldstone Facade 60 X 128 Warehouse 7,680 Square Feet In Like New Condition Located Within City Limits Of Lewes Located On New Bike Path. Pole Building Construction Divided Into 6 Dry Walled Finished Units - Being 1,250 Square Feet Each With Electric, Roughed In Water And Sewer For A Powder Room In Each Unit. City Of Lewes Water And Sewer Not Connected To Building, Available At Expense To Owner For Connection. Discover Waterfront Living On Herring Creek In A Brand New Custom Home With Large Windows And Sliders To Capture Floor To Ceiling Views Of The Water! Featuring Over 3,700 Square Feet Heated With Great Room With Fireplace, Gourmet Kitchen With Island, Large Dining Area, First Floor Master Suite, Study, And Laundry On First Level. Two Car Side Load Garage Has Extra Storage For Your Jet Skis And Kayaks. Large Concrete Driving Has Lots Of Parking For Family And Friends. Back Deck And Screened Porch Overlook The Boats Going By On Herring Creek And Your Dock For Your Boat, Jet Skis, And Kayaks! Second Level Features Four More Bedrooms, Two Baths, And A Large Loft Area. One Of The Second Level Bedrooms Is A Master Suite With Private Deck Overlooking The Water. Bedroom Five Is A Large Bonus Room Above Garage Which Could Be A Family Room. Energy Efficient Home Has Been Insulated With Sheep's Wool And Has Three 20 Seer Heat Pumps. Enjoy Your Private Setting On This Large Over Half Acre Lot On Herring Creek With Boat Dock! Villages At Herring Creek Offers A Community Center, Pool, And Tennis Courts To Enjoy. Convenient To Both Downtown Lewes And Rehoboth Beaches And Attractions! Bring Your Boat And Start Enjoying Waterfront Living Today! 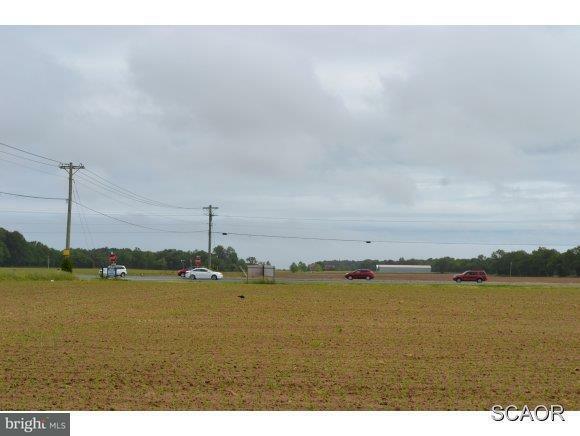 Seeing Is Believing- It Can Not Get Much Better Than This, Possibly The Most Scenic Lot Available In The Entire County. Spend The Evenings Gazing Clear Across The Bay At The Indian River Inlet Bridge. This Site Is Ready For You To Build- Retaining Wall Is Up, Dock Is Out, Septic Is In, Cleared Lot With A Surrounding Fence. The Canvas Is Ready For You To Paint Your Dream Bay Front Home! Your Very Own Private Southern Plantation Close To The Beach Towns Yet Tucked Away From The Hustle And Bustle Is Waiting! This Incredible Custom Home Is Enhanced With Many Stand Out Features Including An Elegant In Ground Pool, Huge Screened Porch The Size Of A Family Room And A Three Car Turn In Garage. Be Inspired By The Designer Kitchen Overlooking The Pristine Back Yard And Boasting A Custom Reclaimed Butcher Block Island And Top Of The Line Appliances. Be Dazzled By The Reclaimed Wide Plank Hardwood Floor Throughout The First Level And The Custom Trim Work & Built Ins Enhance This Home. The Master Suite Features Two Luxury Baths As Well As Two Generous Sized Walk In Closets. Front And Back Staircases Make For Easy Navigation From One Level To The Next. There Are Multiple Ensuites And A Loft Library With And An Expansive Bonus Room And Office On The Second Level. Pride Of Ownership And Quality Is Evident In Every Inch Of This Home And The Surrounding Grounds. 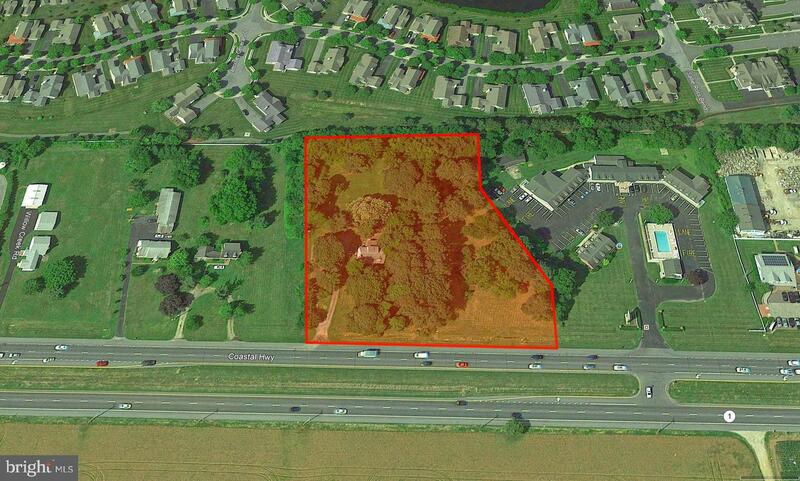 This Premier Lot Is Expansive And Extremely Private. This Incredible Property Is A Must See And Priced Below The 2018 Appraisal Value. Model Home Now Available For Sale! 4245 Sq. Ft 5 Bd 3.5 Ba W/ 3 Car Side Entry Garage, 1st Floor Owners Suite + Sitting Room, Morning-room, Finished 9' Basement Featuring Finished Bedroom And Sitting Room, Finished Full Bath & Rec Room W/double Areaway Walkout, 17' Ft Foyer To Second Floor, Whole-house Audio System, Oak Stairs W/wrought Iron Balusters, Gourmet Kitchen W/quartz Countertops, Stainless Steel Appliances, 1 Pc Crown Molding In Lr, Dr, 2 Pc Crown In Foyer & 2nd Floor Hall, Deluxe Laminate Floors In Lr, Dr, Fr, kitchen & Hall, Direct Vent Gas Fireplace W/ Marble Surround, Transom Windows & Exterior Door In Owners Bedroom, Trex Deck Off Owners Suite, Brick Paver Patio W/fireplace, Front Load Washer & Dryer Laundry Tub, Media Filter, Custom Landscaping, Custom Paint, Fully Sodded Lawn, Irrigation All Of .75 Acres Lot. Walk To The Beach From This Spacious 5 Bedroom Home Located Only A Block Away From The Bay In Lewes Beach. Enjoy A Freshly Painted Open Floor Plan With Brand New Carpeting In The Great Room, Solid Hardwood Flooring Throughout The Other Spaces Of The Home, Exposed Beams, Built-ins, And More. The Large Master Bedroom Offers A Private En-suite Bath With Double Vanity And Jacuzzi, And A Generously Sized Walk-in Closet, And The 4 Additional Bedrooms Provide Plenty Of Space To Accommodate Family & Friends! 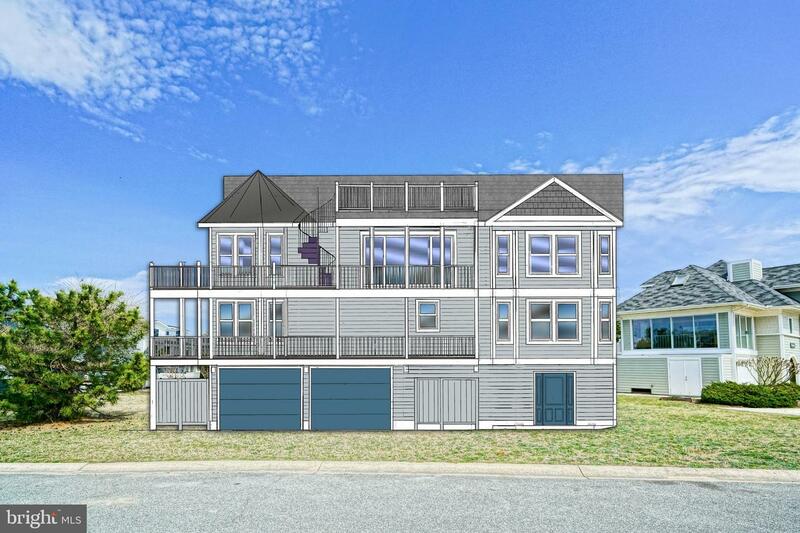 Rinse Off From Days Spent At The Beach With The Outdoor Shower, And The Backyard & Side Deck Offers Endless Options For Enjoying The Heart Of Beach Living, Hosting Friends For A Clambake, Bushels Of Crabs, You Name It! Truly A Great Beach House That's Within Steps To The Beach, And Only A Leisurely Bike Ride Away From Historic Downtown Lewes & Cape Henlopen State Park! Call Today! Karla was wonderful and was able to deal- with us and our OCD issues. She definitely went above and beyond to help us sell our home!